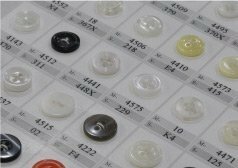 In modern clothing and fashion design, a button is a small fastener, most commonly made of plastic, which secures two pieces of fabric together on Polo shirt. However, buttons may be sewn onto garments and similar items exclusively for purposes of ornamentation. As part of the custom made, you may create your own button with your preferred wording on it. 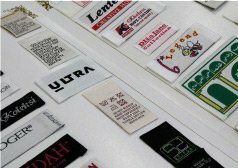 A label; either in Damask, Tafeta, ,Satin or other material affixed/sewn on clothing, on which is printed a logo, information concerning the product, addresses, washing instruction, etc. A label may also be printed directly on the garments. The other thing that i think makes packaging way nicer is poly bags. everybody like seeing the t-shirt folded nicely inside, and opening the bag as if no one has touched it before. 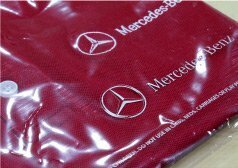 Although we do provide free poly bags but it’s add advantage if you have your owned logo printed on it especially when it serve as a gifts/tokens of appreciation. They are insanely cheap, so it’s definitely an easy investment to make.